It's amazing how motivating it is when a project begins to take shape. Reaching the point where it's time to do the roof certainly gives a barn shape to our barn! After building the loafing area overhang on back of the goat barn, Dan spent a couple of days milling nailers for the milking room roof. He started with the milking room, because we already had some of the metal roof panels. The milking room is the one section of the barn on which they will fit. We bought them last April when we thought we would renovate the old carport. Then we discovered how badly rotted the carport roof beams and rafters were under the fascia board and abandoned the project. The panels are 3+ feet wide, so six of them covered the 16-foot width with a ten-inch overhang on both front and back. A fascia board was added over the ends of the rafters to accommodate a gutter. The only "problem" is that the panels are 14-feet long, whereas the length of the roof rafters is 16 feet. That meant a two-foot gap at the top of the milking room roof. However, problems are simply doorways to creativity! Can you guess what we're going to do with the gap? I bet you can! Click here for "Milking Room Roof Phase 2." Dan works weekends, so we observe another day of the week for our seventh-day rest. We find it physically, mentally, emotionally, and spiritually important to take a weekly reset. As part of the slower pace of that day, we eat breakfast after morning chores instead of before, and I make something special, like blueberry pancakes. Cooking them on the wood cookstove with the cast iron griddle makes them all tastier! In my last cheesemaking post I mentioned how even small changes in the making of a cheese can make a difference in the results. Here's an example of two fetas. The photos below were taken after each was pressed and sliced. They look like very different cheeses! Quite a difference, eh? Both are made from my goat milk, following the same recipe with only a few differences. Interesting, isn't it? For each feta I salted the slices, allowed them to air dry, placed each in it's own jar of brine, and allowed to age in the fridge. Top: Feta #1; Bottom: Feta #2. Dan was recruited as my taste tester. He thought the biggest difference was in texture, but the flavor was very similar and very good. Feta is traditionally a salty cheese, so I add no extra salt when I use it in cooking. We've been enjoying it in salads, scrambled eggs, and omelets. Do you see why cheesemaking is so challenging on the one hand but so intriguing on the other? It's a good thing I'm not a perfectionist! The potential for subtle but delicious nuances is endless! the oil will be used for salads and sautéeing. 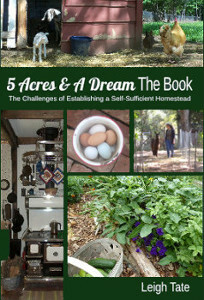 As Dan says, how could anyone ever get bored with homesteading? In my last barn blog post I mentioned that the next thing to do was to build a loafing area for the girls off the back of the barn. This will be an open area that will protect doorway from rain, especially heavy rains that make the area muddy. That was Dan's project last week. The bent laid out on the ground. of the rebar. That way they don't kick out on us while securing the bent. Next will be nailers for the entire roof and then the sheet metal! Yesterday was a beautiful day - sunny and 65°F (18°C). I spent the afternoon in the garden, because I wanted to do a little weeding, planting, and cleaning up. Here's what's happening. The Savoy cabbages are beginning to head. enjoying the leaves sautéed with onions over rice. The broccoli is heading too. I'll harvest this one for Thanksgiving. sharing a bed with chickweed. It's good in salads. showing, so I planted more, along with arugula. The sorrel adds a nice tangy green to our salads. (which is very good for the liver). I found a few violets blooming in the chicory patch. My garlic is doing very well. As are the multiplier onions. Both need mulching. couple years old so I wasn't sure it would make it. The last chore was to pull the dead tomato and okra plants. I found this one lone green tomato had survived the frost. I also planted spinach and more lettuce and radishes. Last year I had miner's lettuce (claytonia) volunteer like crazy, so I didn't plant any this year in hopes it would do the same. Alas, it didn't. I hope I have some saved seed somewhere! Temperatures will go back down tomorrow, but it's that time of year so I can't complain. A lovely day in the garden was very welcome. Anyone else having lovely, pleasant days? I found the idea for pepper cheese in Gianaclis Caldwell's Mastering Basic Cheesemaking. It wasn't a specific recipe, just a description illustrating one way to flavor a cheese. She used it as an option for what she calls "Farmhouse Cheese," but it's the same basic basic rennet curd cheese I've been making from David Asher's The Art of Natural Cheesemaking. Dan and I like pepper cheese, so I thought I'd try it. The description called for rehydrating hot pepper flakes. I have some dehydrated cayenne peppers, and used six for a cheese made from one gallon of milk. I cut off the stem end, shook out most of the seeds, and chopped them up in my blender. They were rehydrated in a half-cup of boiling water. The soaking water was supposed to be added to the milk just before the rennet, but I was also trying to make lunch at the time, discuss the barn with Dan, plus work on the cheese. I'm lousy at multitasking, so I forgot to add the pepper water. I remembered when it was time to cut the curds, so into the curd bath water it went. (If you're unfamiliar with the process, click here for the basic cheesemaking steps.) The soaked pepper flakes where added when the curds went into the cheese mold. After pressing, the cheese was salted, flipped occasionally, and allowed to develop a natural rind. It's a cheese meant to be eaten fresh, so a couple of days later we gave it a try. It turned out just right in cayenneiness for us, so even with a blooper, all's well that ends well. Then I had to decide what to do with the whey. It was pretty spicy after adding the pepper-soaking water, so I knew the whey wouldn't be good for gjetost. Instead it became a spicy ricotta and I used it to stuff enchiladas. Those turned out good too! So that's one idea for variety without having to follow a different cheese recipe. I like to stay with only one or two types at a time, because there can be many factors that influence the outcome of a cheese. Sticking with only one recipe for awhile helps me explore these and more easily identify changes in results. That helps me be more consistent. My cheese journal helps me know whether to repeat a factor or not! Gianaclis's book (mentioned above) and also 200 Easy Homemade Cheese Recipes by Debra Amrein-Boyes have quite a few good ideas for simple flavor variations. I'm taking notes! The other cheese I've been working on is feta. More on my experiments with that soon. Would You Be Interested ... ? ... in participating in a huge basics living resource project? The upcoming 2018 Back To Basics Living Bundle is looking for eBook authors and affiliates. I don't host advertising on my blog and I don't participate in many affiliate programs, but I do participate in this because I love being part of it. 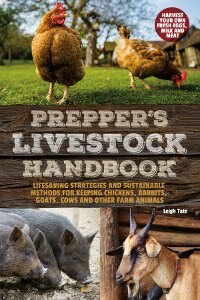 It's a chance to get my homesteading how-to books out there, meet other authors, make a little money, plus add to my own homesteading resources. The bundle is organized by the Self Reliant School, and if you're uncertain about how a program like this works or how to promote it, I can tell you that these folks are great. They are encouraging, supportive, and offer free training and materials to help you get started, have fun, and be successful. Authors! There isn't much time to get eBooks submitted, but if you've got one ready or in the works and want to participate, click here. Please use my name as your referral! Affiliates! If you'd simply like to be an affiliate and make a little extra money, you should sign up now too! Click here to sign up! Back To Basics Living Bundle 2018 will be available Jan. 17 - 23, 2018 and that's it! Those dates are approaching quickly so if you'd like to join us, now's the time! I didn't have much to show in my last goat barn post, but since then Dan has framed out the milking room and feed storage. The next step will be the bones for an overhang in back. This will serve as a loafing area for the does plus keep the doorway area dry when it rains. After that we can figure out the roof and the rest of the siding. It's almost hard to believe that after all those years of planning and delay, we've finally gotten this far! Next → "Goat Barn: Loafing Overhang." Our trees are late in changing color this year. Autumn color is usually an October event, but we're just getting it now. Curious how it can be so different every year. Back before television went digital and we could get the local stations, the fall color season was newsworthy every year, because folks like to take a drive into the mountains for the color and fall festivals. Every year the prediction was for great color, "Experts say the color will be spectacular this year because of the high rainfall amounts this summer," or "Experts say the color will be spectacular this year because of the summer drought." I used to wonder about those experts, until I finally figured out that the media is full of baloney. Anyway, while not sweepingly spectacular, we have spots of color to enjoy. The view across the neighbor's field. Dogwoods, for example. We have several around and they can always be counted on for lovely deep reds. Near the house is our biggest dogwood. Then there are the yellows. escaped ornamental, but it always gives a respectable yellow. green is pecan leaves. They never offer much in the way of color. Neither do our white oaks, of which we have a lot. These usually range from brown to yellow. Our maples are mostly silver maples. Silver maple leaves turn mostly yellow with an occasional red. change. This one is just beginning to turn orange. In the front yard we have an ornamental called a "burning bush." bush. But it was persistent and now I'm glad it won. Back on the wild side, even the poison ivy is making a showing! Poison ivy sports either red or yellow. Our first frost was the last week of October. Now the turning leaves, shorter days, and rain storms coming out of the northwest all signal autumn. More-so than the calendar, anyway. Then there's the time change, which is just a nuisance. The critters don't care what the clock says, they just know they're hungry and want to eat! How about you? Are you experiencing a change of season? Spring? Summer? Winter? Fall?